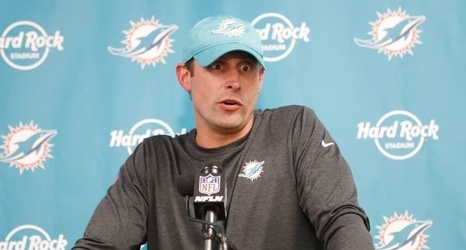 The Miami Dolphins and head coach Adam Gase are reportedly paying the price for violating the NFL's injury report policy. According to Ian Rapoport of NFL.com, the team was fined $30,000 and Gase was issued a $15,000 fine for actions prior to the Oct. 14 victory over the Chicago Bears. Tom Pelissero of NFL Network provided clarity, noting the fines are for listing quarterback Ryan Tannehill as a full practice participant on Oct. 11.